I’m up to the stage where I have just completed what is essentially a first draft of my masters project novel. It’s not the whole novel but at 25,000 words it’s already substantially longer than what it needs to be for the purposes of the course (which I think is 15,000). I am meeting my supervisor again shortly, and as usual, I am sure there will be more amazing suggestions and insights forthcoming. The task now is to try and shape this first draft into something awesome. I don’t mind editing my own work, not when it’s just copyediting — ie, fix the typos, the spelling, the grammar, etc — but when it comes to major overhauls and structural changes, I just want to bury my head in the sand and hope it miraculously fixes itself. 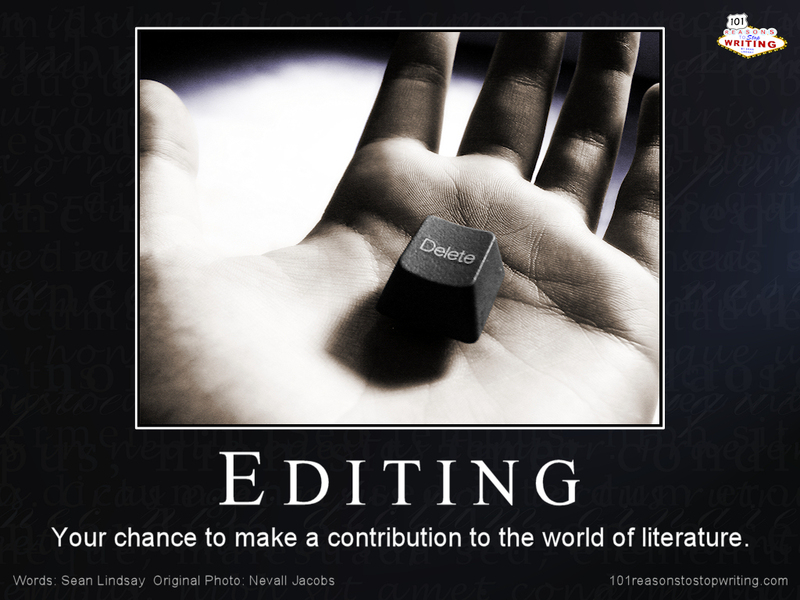 To me, editing your own work is the hardest part of writing. Unfortunately it’s something that has to be done. There are no magic bullets. Just need to keep trying different things, testing various styles and combinations, and persevering until I get it right. Well, either that or until the deadline, which is only a couple of weeks away. Eek. After that maybe I can get a real editor.